Michael Ereti, director of capital projects with the City of Houston, was the guest speaker at the December meeting of the Gulf Coast Chapter of the Underground Construction Technology Association (GC UCTA). Ereti discussed ongoing construction and rehabilitation plans for Houston infrastructure and planned capital spending for 2019. This presentation has become a tradition for the GC UCTA meeting each December, as Houston’s spending plans have a major impact in the region for consulting engineers, contractors and vendors. One of the initiatives city voters recently passed was the Rebuild Houston program. “The main focus of this, as an operational group, will be to repair, rehabilitate and re-construct city infrastructure,” Ereti said. 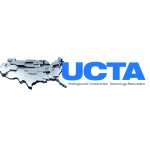 The UCTA was founded in 1992 to promote education, training, research, development and information concerning traditional, trenchless and rehabilitation technologies and to promote the use of these technologies. The organization currently has three chapters: Gulf Coast, North Texas and South Texas. The organization embraces all elements of the underground infrastructure industry: contractor, engineer, municipal and manufacturers.